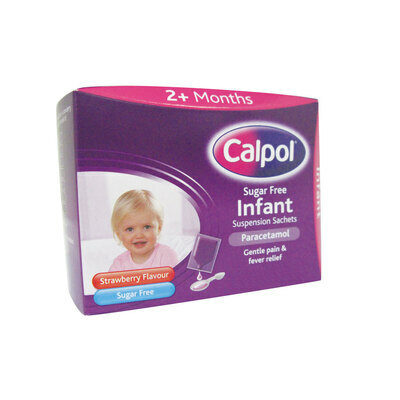 Developed specifically with young children in mind, the Calpol Infant Sachets offer fast working pain relief for infants as young as 2 months old. Ideal for active mums who are always on the go, these single dose sachets have been noted for their ability to soothe discomforts caused by headaches, teething, colds, flu, fevers and routine immunisations. Each sachet can be given using a teaspoon and comes in an appealing strawberry flavour to ensure complete administration every time. The sugar-free mixture is kind to new and emerging teeth while also working with your child's health. Gompels also stock a range of Creams and Medicines to help with common ailments including Sudocrem (ideal for nappy rash) and Vaseline for all around moisture.